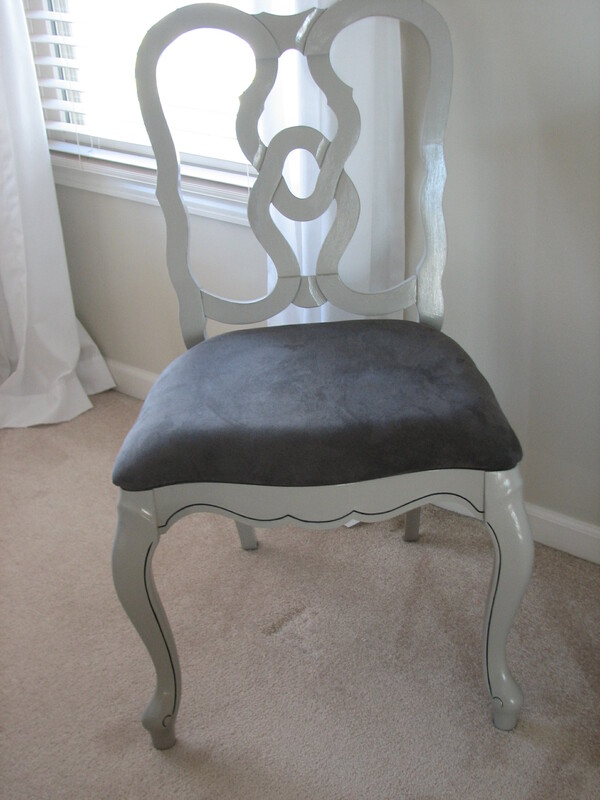 Hard to tell in the picture, but I distressed the top half of the chair on some edges. The feminine lines work well since it’s on the Mrs. side of the master bedroom. Love the transformation! 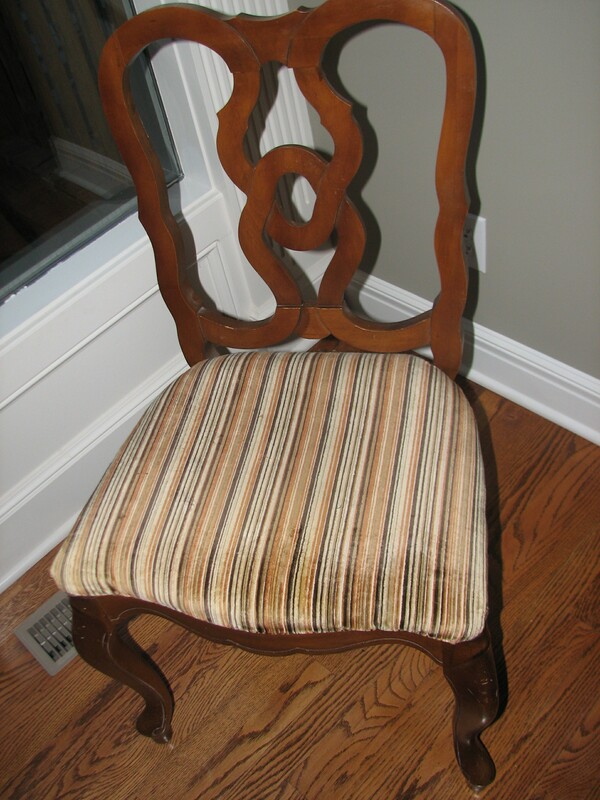 Did you use a staple gun when attaching the fabric to the chair? Where did you buy your cushion fillers? yes – staple gun! 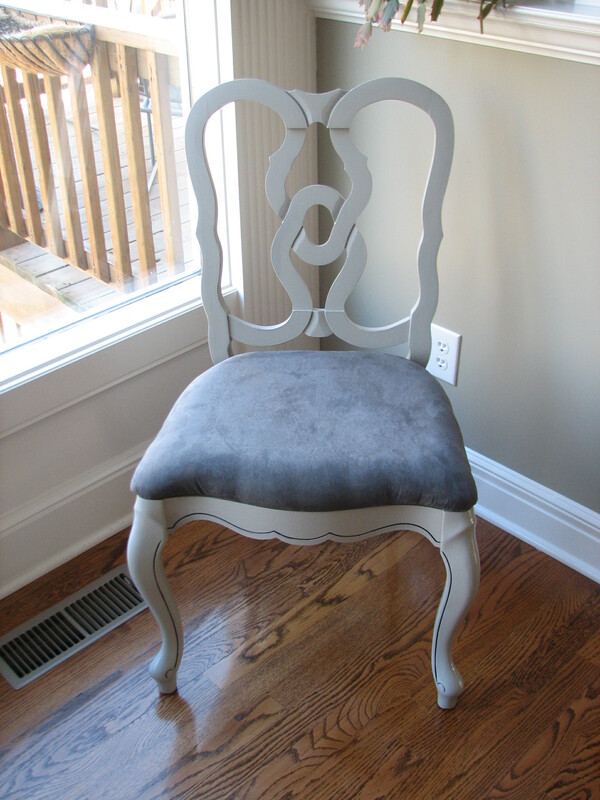 I bought a foam square at Jo-Ann fabrics, traced around the wooden seat form (leaving 1/2″ or so extra all around), cut with scissors (it was not perfect! 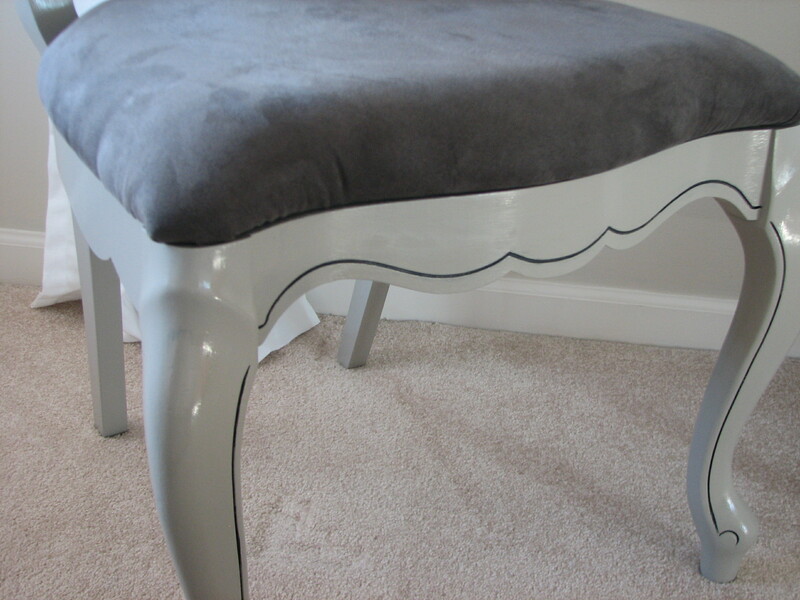 ), used white canvas first – pulled taut all around & stapled, then attached the suede in same fashion. Night & day!! There are tons of chairs that need rescuing… 🙂 thanks for the comment! Thanks! 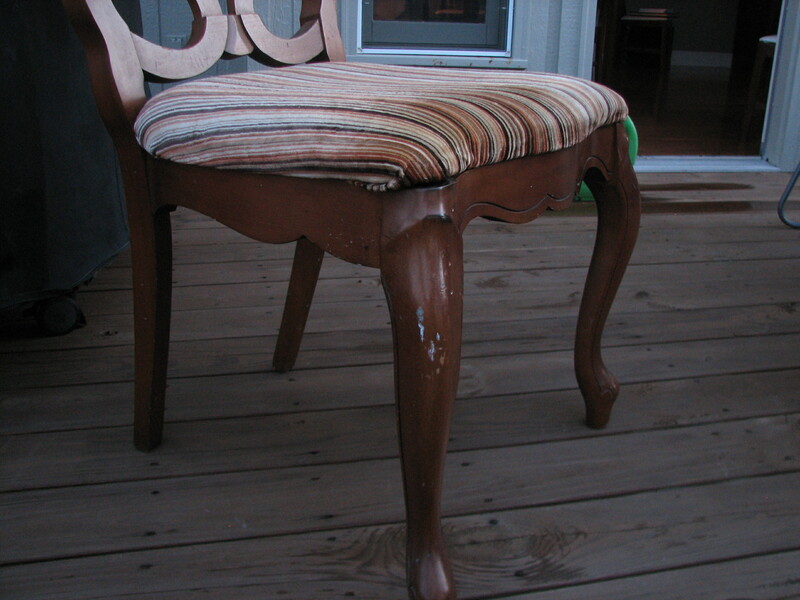 I’m looking forward to finding a chair to rescue and applying your technique. I found a nice chair this week at my nearby goodwill store. It was in perfect shape. I will be posting it on my blog this week.